Review Summary: Blueprint, long known as reputable company providing high quality LSAT prep courses, has released a huge book on how to do LSAT games and it is glorious. The easy to understand material is written with plenty of humor to make it go down easily and contains ample drills and practice questions. 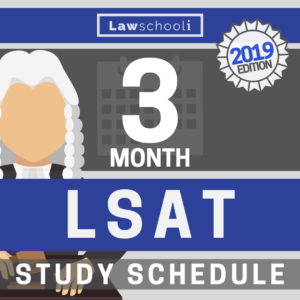 Carefully crafted to teach you step by step without any big jumps, this is a first rate, comprehensive option for those learning LSAT logic games through self-study. However, people in a hurry to master the logic games may favor a more straightforward presentation. Full Review: The Blueprint for LSAT Logic Games is a highly anticipated addition to the LSAT prep world. Blueprint, long considered one of the top dogs in LSAT prep class instruction, has graced us with their deep wisdom in book form. The book gives us nearly 600 pages of prep, providing great advice along with plenty of games and drills to reinforce your understanding of the material. Like all good LSAT prep books, the The Blueprint For Logic Games employs real, official LSAC questions as examples. The book also comes with a free Blueprint LSAT Prep account which gives you access to video explanations for every game in the book (don’t worry, they are all fully explained in the book as well, but a change is nice every now and then). After review, I am confident that the methods Blueprint teaches you to diagram logic games are fundamentally correct and will be as fast to employ as any of the other very best diagramming methods out there. In particular, their method of diagramming the order of variable in ordering games (also known as linear games) is highly efficient and intuitive. 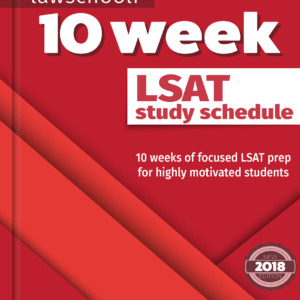 The methods are essentially similar to those employed in the Powerscore™ Logic Games Bible (the other book that we strongly recommend for prepping on the LSAT logic games section- see our full review here) with only minor differences in how rules are notated. Though I could quibble with a very few of the notations employed, none of the differences should cause any decrease in the time needed to diagram games or interfere with your understanding the rules. What sets The Blueprint For Logic Games apart is that the book is specially designed to prevent boredom through lots of humor and unique presentation. For example, a cartoon LSAT ninja gives you invaluable pointers, tips, and tricks, so you won’t be likely to miss any of them. If you think you are especially likely to fall asleep when reading LSAT prep books, consider The Blueprint. It may be a lifesaver. If, on the other hand, you find humor distracting, and want to approach LSAT prep in a more business-like manner, you would be better off going with the Logic Games Bible. This is really a matter of taste. I personally preferred the Spartan style of the Powerscore material, but I won’t make the error of forcing my tastes on everyone. The book’s writing is clear and concise; the humor only serves to help make the techniques you learn more readily memorable. Visually, the text of the book is the nicest looking I have yet encountered. The big, easy to read examples are going to be a major plus when you a powering through hours of LSAT study. The book is ordered in a highly logical fashion, dividing the games in to the two most fundamental types, which they term ‘ordering’ and ‘grouping’. The book takes you through each aspect of these two types one part at a time, so you will feel completely comfortable with each aspect of the games before moving on to the next one, and finding sections you need to review will be easy. The other really amazing thing that Blueprint did is give you an appendix that tells you the type of the game for every game in each published official LSAT preptest, which makes finding extra practice on certain types a cinch. The only disadvantage I can see is that Blueprint has yet to release books about the logical reasoning and reading comprehension sections of the LSAT. People who wish to learn everything from the same authority may be better off with our usual recommendation, Powerscore who has books on all three sections. However, this book is a fully sound option for LSAT self-studiers wishing to master logic games. Overall we give The Blueprint For LSAT Logic Games a 178 out of 180, which is very near a perfect score! At around $50 dollars on Amazon the book is not the cheapest, but we are of the firm opinion that it is worth the extra cost over other options. Buying LSAT prep books is no place to scrimp and save. With LSAT books, you get what you pay for, and this is offering from Blueprint is of the highest quality. Overall we give The Blueprint For LSAT Logic Games a 178 out of 180, which is very near a perfect score! At around $50 dollars on Amazon the book is not the cheapest, but we are of the firm opinion that it is worth the extra cost over other options. Previous ArticleDo I Need to Bring A Passport Photo on The Day of The LSAT? 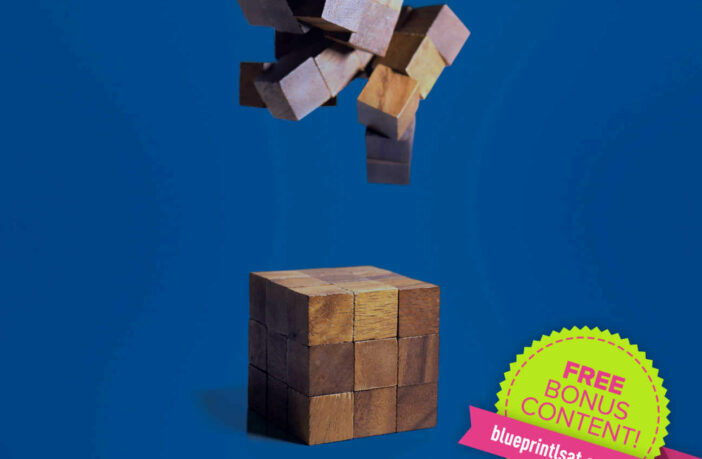 While the book itself is fantastic, the Blueprint website leaves a lot to be desired. If you’re attempting to follow along with the website explanations half of the videos don’t actually work, which for a company that offers so many classes and has sold so many books, you would think they would be able to hire a competent webmaster. Additionally, their online test scoring system is incredibly close to being completely broken. It’s option to track your guesses is broken, their option to score only portions of your practice tests is broken, and the full scoring function is broken completely on some tests. Essentially, the book is pretty great but the website, it is a huge source of frustration when it has the potential to be a great asset. 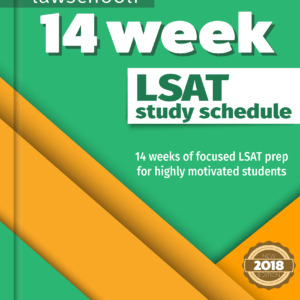 I purchased a copy of your 12 week study schedule for the LSAT. It is a great schedule and I will follow it, but I have one question: I already have a copy of the Blueprint Logic Games Book. Is it possible for me to use that instead of the PowerScore Logic Games Bible? I am a high school student who has completely fallen in love with y’all’s blog (yes, I am from Texas). Anyways, I would just like to let y’all know how helpful and eye-opening this was for me to read. It is currently 1:00 AM and my eyes have been glued to what y’all have to say about law school, majors and the LSAT. Although I have not graduated yet, I plan to use the advice that y’all have given in my future endeavors. Thank you so much for your knowledge and for your help. Keep up the amazing work! I am currently enrolled for a summer prep course with Blueprint for the september LSAT. However I wanted to study before the actual start and I have been advised not to because of the wide numbers of different techniques. Do you think I could start studying with this book since it is published by the same company and chances are they use the same techniques during their prep course too? Yes, definitely. They will certainly be teaching this same techniques. No reason not to get a jumpstart if you want to. Thanks, keep up the great work boys! I’ve heard straight from a Blueprint guy that they are totally consistent so no need to worry. I just ordered Blueprint The Movie 2.0. Do you know of any major differences between the strategies employed in the LG portion of Movie/the Blueprint classroom course, and the strategies employed in this new book? This may be a question I should ask Blueprint directly; I would assume strategies would be consistent in both.